Happy October, D&D players! Let’s continue the Halloween season in style with a third spooky encounter for your home game. Earlier this month, the Haunted Cornfield invoked themes of rural gothic horror, and the Banderhobb Coven borrowed both from folk tales and from Stephen King’s brand of small-town horror. This week, an encounter with the nightmare creatures of the Underdark will invoke feeling of claustrophobia and pursuit by an elusive and powerful stalker. This mini-adventure is not Adventurer’s League legal, but it is perfectly suited for your own home D&D game. Enjoy, Dungeon Masters! The horror of this encounter relies upon the characters being outmatched by a powerful creature that hunts for pleasure as much as for survival. As such, this encounter is balanced around a party of 5th-level characters who could be easily overpowered by a CR 6 drider. If you suspect that your players will stand and fight no matter the odds, consider making it balanced around a 6th-level party instead. This will turn it into a more “heroic” and less “horrific” encounter, but it will keep some of the fight’s challenge while giving the characters a better chance of survival. Driders are hideous monstrosities, half-drow and half-spider, created by the goddess Lolth. Drow who displease her are stripped of their old lives and cursed with utter repulsiveness. Other drow fear and despise driders, and drive them from their cities. After being cursed by their goddess and banished by their own kin, most driders descend into madness and wander the Underdark for the rest of their lives. Their only friends are giant spiders, other driders, and other outcasts. This encounter takes place in a cave network of the Underdark, near a village. This could be an Underdark settlement, such as the deep gnome town of Blingdenstone. It could also be closer to the surface and connect to a surface cave near a small village like Red Larch. If using Red Larch as a village, the Underdark passage could connect to the Tomb of Moving Stones secreted away beneath the town. If you have a party comprised mostly of drow, it could even take place near a drow outpost! Nezznar, the Black Spider, was defeated in Wave Echo Cave. His ambitions of reviving the long-dormant Forge of Spells were thwarted by a group of adventurers, but his deeds did not go unnoticed. Lolth, spider goddess of the drow, rarely shows male drow favor, but something about Nezznar's cunning and individual strength pleased her. Depending on the actions of the adventurers who defeated him, the Black Spider may have been killed, forced to flee, captured, knocked unconscious, or even fallen down a gaping chasm and swept away to a fate unknown. Regardless of the way Nezznar was defeated, in the moment of his defeat, he desperately prayed to Lolth for the chance to take revenge on those who shattered his ambitions. And Lolth answered. She wished to see Nezznar succeed, but Lolth's gifts to her male followers always seem to come at a cost. She granted him a second chance, possibly even snatching his soul back from death, and granted him a body with the strength to crush his enemies. Her power merged his elven body with one of the corpses of the giant spiders that accompanied him in his showdown in Wave Echo Cave, transforming him into a horrific half-elf, half-arachnid monster. A drider. The transformation left Nezznar crazed and single-minded in his desire for revenge. It was all he could think of. He pleaded with Lolth for release from this all-consuming thought. But no relief came. He scurried, cautiously, back to the surface world and abducted a close personal friend of the characters from their home in Phandalin and spun a web in their residence with strands that formed a grim message "Return to Wave Echo. I hunger." Years ago, a drow of unknown birth found great favor with the Spider Queen, Lolth. His name was Tol’ratheen, and he was brought to her extraplanar sanctum—the Demonweb Pits—and given the honor of demonstrating his strength and guile to his goddess. Again and again he succeeded in impressing the Spider Queen, and again and again he rose in status and power. But no matter how many times one impresses the demon queen of spiders, one must only fail her once to fall from her grace. This drow faltered in a test of strength before Lolth when she demanded him to kill an innocent traveler. A deep gnome, bound by webs and completely helpless, was brought before Tol’ratheen. He hesitated only for a moment when he raised his blade and by chance looked into the gnome’s pleading eyes. Tol’ratheen was fully prepared to slaughter the helpless captive, but in that moment, he felt a twinge of guilt. The Spider Queen does not tolerate hesitation. She does not permit even the slightest thought of mercy or compassion. Tol’ratheen paid dearly for his glimmer of pity. Lolth smote him where he stood. She twisted his being until only the upper body of a drow remained, and she bound his mutilated torso to the body of a giant spider. Only then did she cast him back down into the Underdark, half-mad and utterly broken—a drider. The drider wandered the caverns of the Underdark for decades, despised by all. His former kin betrayed him. His old enemies, the deep gnomes, hated him all the more for his grotesque new form. And the adventurers that plumbed the umbral depths of the Underdark saw him as just another monster to slay. The drider’s mind slipped away, inch by inch, until only a single memory of his elven life remained: his failure to kill an innocent being. He dwelt upon this memory for all hours of the day, obsessing over his failure. Obsessing over his desire to please the Spider Queen. Obsessing over murder. The characters are the latest innocents to be caught in the drider’s snare. What brought them into contact with the drider? Were they Underdark adventurers who pushed just a little too deep into the caverns? Are they just the latest in a string of abductions and murders from a peaceful town nearby? Were they mercenaries hired to solve the disappearances, now in over their heads? Use this encounter however it fits in your campaign. The characters have descended—perhaps unwittingly—into the lair of the drider. Strands of thick, white webbing cover the tunnels, and even a single touch sends vibrations throughout the lair that alert the drider to a creature’s presence. These encounters can be strung one-after-another in a straightforward lair, or they can be arranged in any order and placed in a larger dungeon of your own creation. The faint sound of hundreds of scuttling insects fill this tunnel, and dozens of tiny spider webs hang in the corners of this tunnel. Spiders the size of a gold piece hang in center of their webs, awaiting a tasty meal. This area is a winding, 20-foot diameter tunnel. Whenever a character moves at least 20 feet in a single turn, there is a 25% chance that they step in spider-silk trap. Characters with a passive Perception of 16 or higher notice this trap just before they step in it, and can make a DC 16 Dexterity saving throw, avoiding the trap on a successful save. Creatures that take the Dash action have a 50% chance to step into a spider-silk trap, instead. This trap is made of a tiny pothole, only a foot in diameter, and is covered in drider webbing and coated with dust and cave debris. The pothole is filled with spiked stones that tear at a creature’s flesh as it stumbles into the trap and also as it tries to wrench its leg free. A character that steps in this trap takes 11 (2d10) piercing damage, and must succeed on a DC 13 Dexterity check to escape, taking 11 (2d10) piercing damage on a failed check. Every time a creature takes damage from this trap, its walking speed is reduced by 10 feet until the wound is treated. A creature can treat the wound by spending 1 minute dressing the wound and then making a successful DC 16 Wisdom (Medicine) check. The characters move from this tunnel into area 2 after traveling 60 feet. Stepping into a spider-silk trap causes strands of webbing hidden in the ceiling to snap. These threads supported a payload of stones and debris, and snapping them causes hundreds of pounds of rock to collapse in front of the entrance to this tunnel, blocking it off completely. The cramped tunnel broadens into a fifty-foot-tall cavern filled with natural pillars, each as wide as the trunk of an ancient tree. At the far end of this hundred-foot-long cavern is the mouth of another passage. A hive of 15 giant spiders dwells upon the ceiling of this wide cavern. They compete with the drider for food, but are terrified of the drider, and flee when they sense it step onto their webs. Spider webs so thin as to be nearly invisible to the naked eye stretch across the natural stone pillars. Each of the pillars are about 20 feet apart from one another, and a creature that walks between a set of pillars has a 25% chance of walking directly into a web. Creatures with a passive Perception of 16 or higher notice this web just before they walk into it, and can make a DC 16 Dexterity saving throw, avoiding the web on a successful save. Creatures that take the Dash action have a 50% chance to step into a web, instead. These web traps are otherwise identical to those created by the web, except they are nearly invisible and do not lightly obscure their area. When a creature touches a web, five giant spiders (from the 15 that live in this room) climb onto the web and attack their prey. After any of the characters or their companions touch the webs in this room, the drider appears in 1d4 rounds, and all of the spiders flee into hidden tunnels. It lurks in the shadows in the top of the chamber and fires arrows at ensnared characters. It flees into the shadows if light is shone upon it, and retreats to area 3. Its silhouette is just visible enough for characters to follow it. The tunnel between area 2 and 3 is a tight, winding tunnel filled with thick cobwebs. They are sticky, but are old enough to only be an annoyance. The entire tunnel is lightly obscured because of these webs. At the end of the tunnel is a chamber in the shape of a hemisphere with a 50-foot radius. The chambers floors and walls are covered with fresh, sticky webbing. Six cocoons of webbing dangle from the ceiling; each one contains the corpse of one of the driders’ recent victims. (If you are using this adventure as a follow-up to Lost Mine of Phandelver, one of the cocoons is wriggling as the characters' still-alive friend tries futilely to break free.) All creatures without the Web Walker trait treat this webbing as difficult terrain and must make a DC 10 Strength saving throw at the beginning of their turn. On a failure, their speed is reduced to 0 until the start of their next turn. The drider lurks upside-down on the top of this chamber, and remains there—shooting arrows if attacked—unless a creature moves at least 20 feet away from any of its allies. It then drops onto the isolated creature and focuses all its attacks on its sole target. The drider wields a +1 longsword and wears gloves of missile snaring that it found fashionable as a drow. 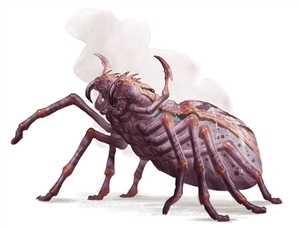 As soon as the characters enter the chamber, and again on initiative count 20 of each round of combat, 1d4 giant wolf spiders allied with the drider burst from the floor and attack characters indiscriminately. If it hasn’t been noticed yet, the drider uses dancing lights to highlight where the spiders will burst from the ground on the next round… and then starts to deceive the characters by highlighting the wrong spot once they catch on. This story is about characters exploring a sinister location and fighting for their lives. Like most slasher flicks, the story is not about uncovering a mystery or unraveling a dark backstory—excuse me, the first movie in slasher franchises aren’t about this sort of thing. The sequels don’t count. Relish in the simple thrill of dread and panicked combat. If you have a minor plotline you want to introduce into this adventure, like rescuing a captured innocent or recovering a lost keepsake, feel free to do so; do whatever you need to hook the players and their characters. But once they’re down in the Underdark, let the darkness and the monsters do all the heavy lifting. Did you like this adventure? You can pick up more adventures I've written on the DMs Guild, such as The Temple of Shattered Minds, a suspenseful eldritch mystery with a mind flayer villain (for 3rd level characters). My most recent adventure is in Dragon Heist: Forgotten Tales, a book by the Guild Adepts which gives you a new beginning, middle, and end to Waterdeep: Dragon Heist. It's the perfect way to give this adventure even more replay value! My new beginning is a great way to introduce a campaign focused on either the drow or devil cult factions causing trouble in Waterdeep. If you want Adventurers League-legal adventures, take a look at The Cannith Code, set in the magic-punk Eberron campaign setting, All Eyes on Chult, a high-stakes adventure set in Port Nyanzaru included in Xanathar's Lost Notes, or Fire, Ash, and Ruin, a demon-filled dungeon delve in an active Chultan volcano! 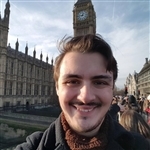 This post contains DMs Guild affiliate links, which means that I—James Haeck—get an extra 5% of the sale if you buy anything from the DMs Guild using these links. You don't pay any extra, but your purchase helps support my work. Thank you so much! Also, for more free encounters, take a look at the Encounter of the Week series! James Haeck is the lead writer for D&D Beyond, the co-author of Waterdeep: Dragon Heist and the Critical Role Tal'Dorei Campaign Setting, the DM of Worlds Apart, and a freelance writer for Wizards of the Coast, the D&D Adventurers League, and Kobold Press. He lives in Seattle, Washington with his partner Hannah and his spider-hunting kitties, Mei and Marzipan. You can usually find him wasting time on Twitter at @jamesjhaeck. "A deep gnome, bound by webs and completely helpless, was brought before Tol’ratheen. He hesitated only for a moment when he raised his blade and by chance looked into the dwarf’s pleading eyes. " I assume the drider is actually using Dancing Lights to highlight the incoming spiders, since they can only cast faerie fire once? I see it's fixed now. I'm thinking of maybe using chitines and choldriths as allies of the Tol'ratheen. Is there any way to rescue the Drider from his fate if, for instance, you are an Oath of Redemption Paladin? I just don't like how tragic the story of Tol’ratheen is and I want a way to save him. That's an awesome idea! 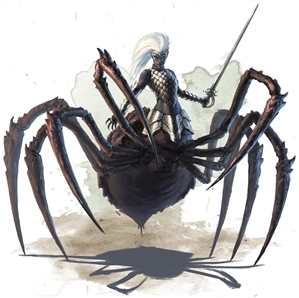 Within the context of D&D's lore, you'd essentially be going up against the power of Lolth herself by trying to save Tol'ratheen. If you want to set your story up so that the drider can be redeemed, I would read up on Eilistraee, enemy of Lolth and the only good goddess within the drow pantheon. This article is a good primer. By invoking her power, perhaps even a drider could be saved. Characters who defy Lolth's will like this, however, would definitely make an enemy of the Spider Queen. That sounds like the start of a great campaign arc! 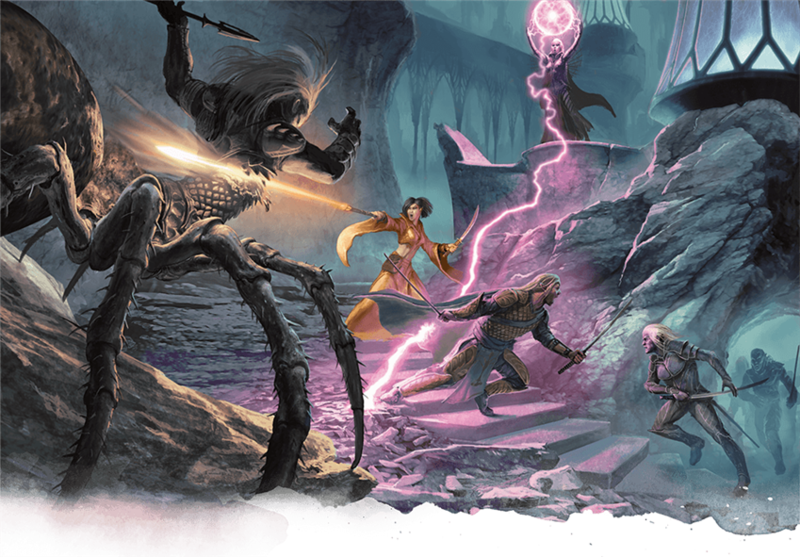 My players are just about to enter wave echo cave on Halloween and i'm thinking of doing the same - are you going to replace the black spider with the drider or have them separate? This has been my plan for wave echo cave since the beginning, and I am so happy I wasn’t the only one to think of it. I am replacing the black spider with him, but you can do both depending on level and story. The drider wandered the caverns of the Underdark for decades? This is so good. Thanks James Haeck. My recommendation (and what i plan to do), is have the Black Spider's task be Lolth's test, and when he gets below a certain HP threshold, have Lolth decide that he has failed and twist him into a Drider mid fight.